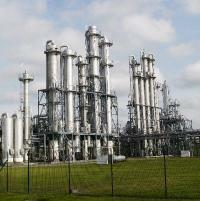 The plant at Loon-Plage (Dunkirk) is divided into a rectification and a dehydration facility. The two rectification units have a combined capacity of 2,600 hectoliters per day. The two dehydration units can manufacture up to 3,400 hectoliters per day. Ryssen also operates its own tank farm of 300,000 hectoliters on site which enables us to store a large variety of different grades of alcohols: neutral, dehydrated neutral, Rectified Extra Neutral, Head & Tails and denatured alcohol.